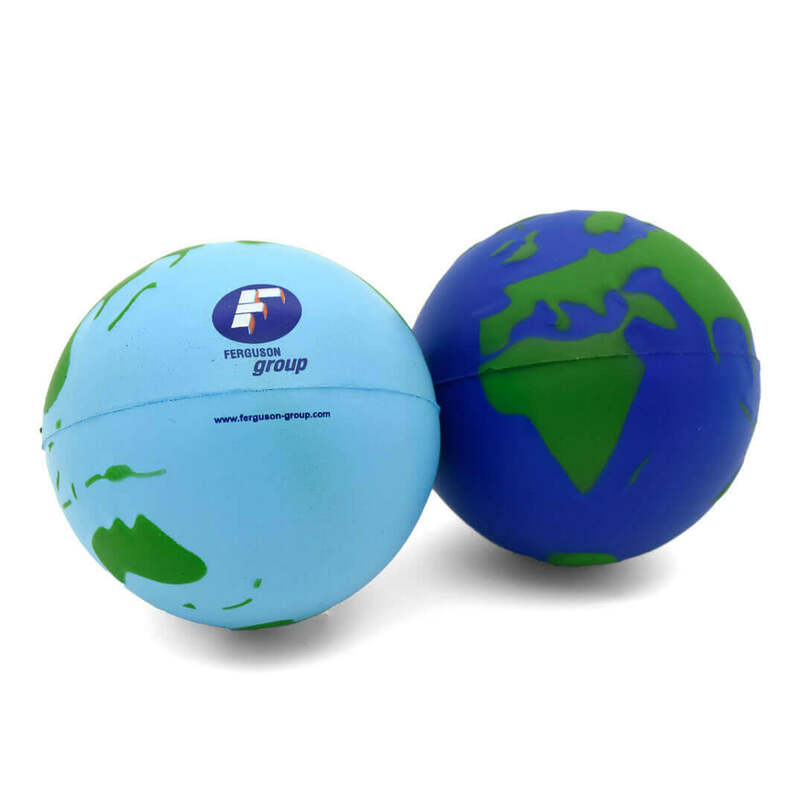 The globe shaped stress ball is available in light or dark blue. 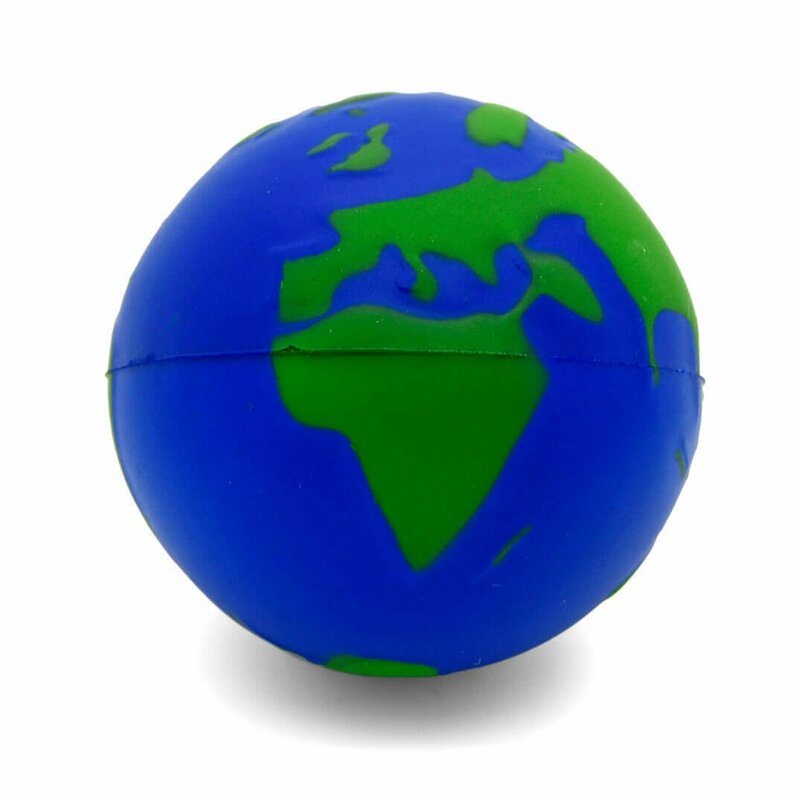 The land is moulded to be slightly raised and is then sprayed green. There are two print positions, one on the front and one on the rear.